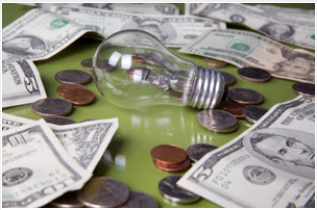 Top Ten Energy Saving Tips While Never Spending A Cent! So you are trying to save some green right? You’re in the right place, I promise and I am not going to tell you to spend your way to wealth either don’t run out and buy every new energy star related product just to save some money. Yes they use less energy but why break the bank if you can just change a few habits and use less power, First whenever you get your electric bill in the mail do you ever look over it or just pay it because you feel as though you have no choice as what you can do to lower that bill.As promised I am going to walk you thru a simple series of steps to help save you money in New England without ever paying a cent! Did you know you have a choice where you buy your power from. Yes you heard me the monopoly has been broken up you now have a choice where you buy your power from. This will be your biggest impact to save money on your energy bill. All you have to do is go on your local utility’s website and look under other suppliers and find one that will fit your needs. Just make sure they are licensed to do business in your state. finding another supplier will probably be the easiest way to save money that’s why I put it as number one. Use a surge protected power strip behind your tv console with an on/off switch that way you can shut off all of those energy stealing monsters! Unplug all of your appliances on your counters when not in use they use power even when turned off according to the us department of energy 25 % of all energy is used up by theme electronics when not in use! Did you know that the coils on the bottom and back of our fridge gets dirty with lint and needs to be cleaned in order to remain in optimal energy efficiency. Take 20 mins and clean out them coils it will save you a small fortune over the years! Use your dishwasher only when it is at full capacity it uses just as much power to clean a full load as it does a half load and turn off the dry cycle when the dishes are compleated open the door and slide out the racks and let them air dry. open your shades during the sunny days in the winter let the heat from the sun warm up your space without the chill of outdoors just remember to lower before dusk. Use a programmable thermostat if you have one if not do it manually to turn down the heat at night while your sleeping or not at home during working hours. shut off lights as we leave the rooms i know its hard habit to break but well worth the effort! If you are in an area that uses well water put a brick in your toilet tank as it will displace water that it used to flush most toilets don’t need that many gallons per flush to work effectively. And last but not least use a fan in a window blowing out up stairs if you have a two level home with the windows opened in the lower level as this will drive all that hot air and replace with cooler air from ground level. I hope this all makes sence to you if it does it Will make cents to you! Please comment if you have more energy-saving tips together for a more sustainable planet! ← Learn How Energy Deregulation Affects You in New England! Learn How Energy Deregulation Affects You in New England!